Now from roulette you can get about a hundred different prizes with different precipitation chance: from the rarest to the most running. With each server reboot will be formed a new set of prizes. Hope, you will get the rarest and most useful gifts! Have added more than 60 new achievements to the game. Play and enjoy! Religion kill announcements, and the clan war announcements about victories and defeats should now specify the character names of Doppelganger characters unless those are under the “Hidden from Lists” service effect. The backstab formula was slightly changed (dmg increased). The Testament of Life gives more HP at fist guild lessons now. But after the 10th level it gives slightly less HP than before. Next Mondays we will change some game rules just for one day, that will make world absolutely insane. Try to get a new gaming experience from the DS. 28 May 2018 will see us enabling Solo-only PVP ruleset across all the game world. The player-versus-player combat will only be possible 1-vs-1. 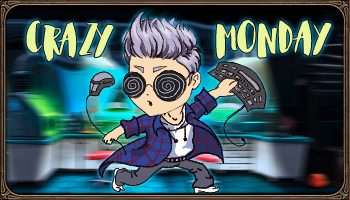 Make sure to give your feedback about Monday Madness via game forum thread. Religion ranks will no longer provide any benefit during tournaments. There will be additional ways how you can get the Roulette Tickets in the nearest future. Links in the chat and other windows (except the login window) are now opened in your default browser. For the "Dark Soul" event. You can get 10 AP from 2:00 to 10:00 with a chance 25%, and from 17:00 to 00:00 with a chance 50%. For the killing of the enemy under the Doppelganger effect, you can get 25 AP. If you have killed him in a group, the distribution is based on the principle of sharing trophies in a group. The Potion "Remove Cooldown" is added to the Achievement Points store. The price is 25 AP.